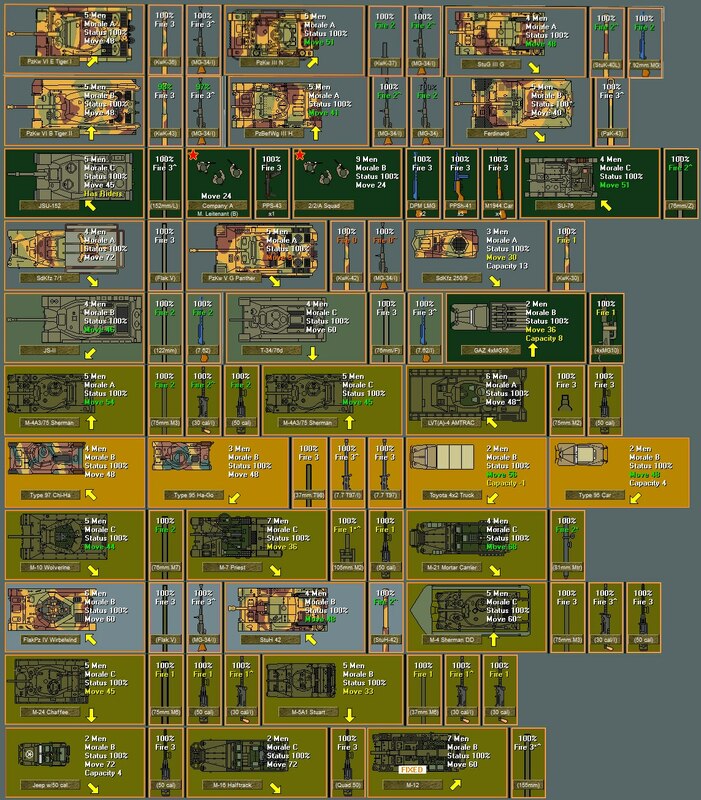 A few WIP's of ES, AotR and RV. "Ideals are peaceful. History is violent." 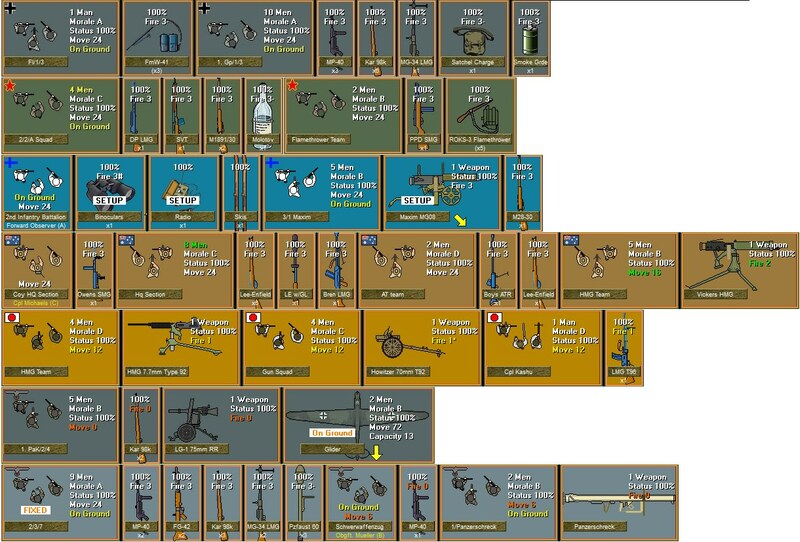 And a close up to see all the items I've up dated in ES for example. 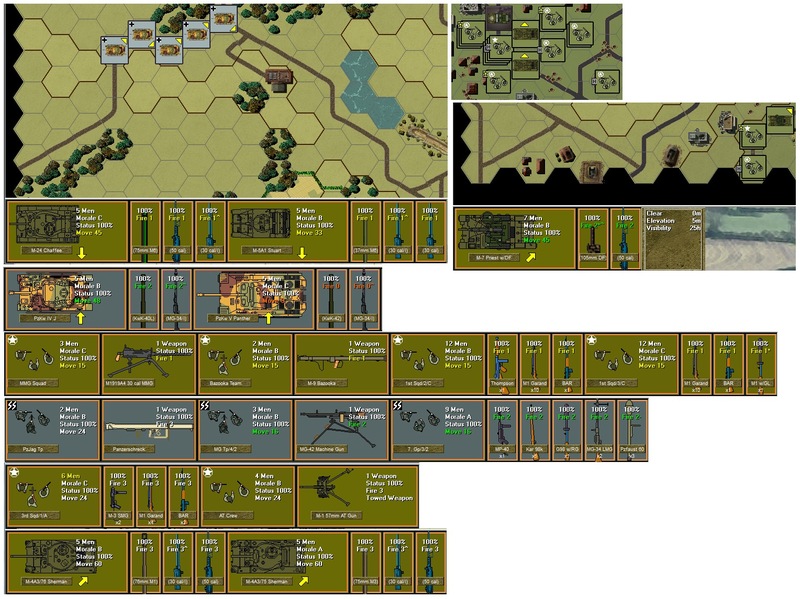 New top down vehicles, guns, cleaned up weapons, new heavy weapons for Info and Map screens. All most done with RV, ES, WW and AotR. 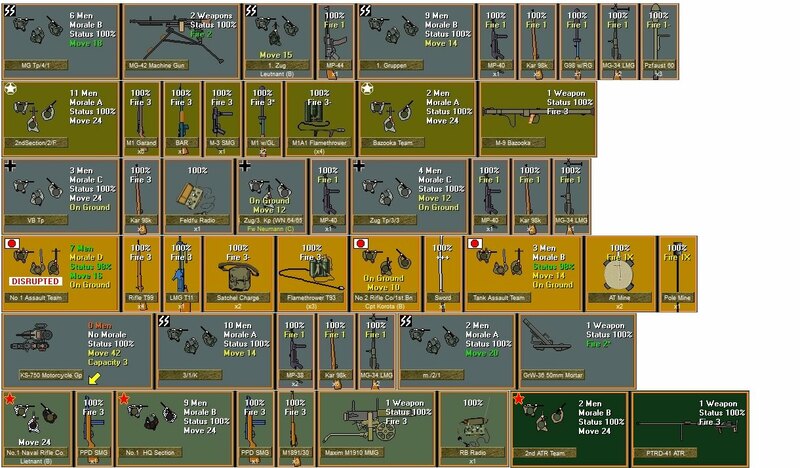 Here are a few vehicle and infantry images in game. 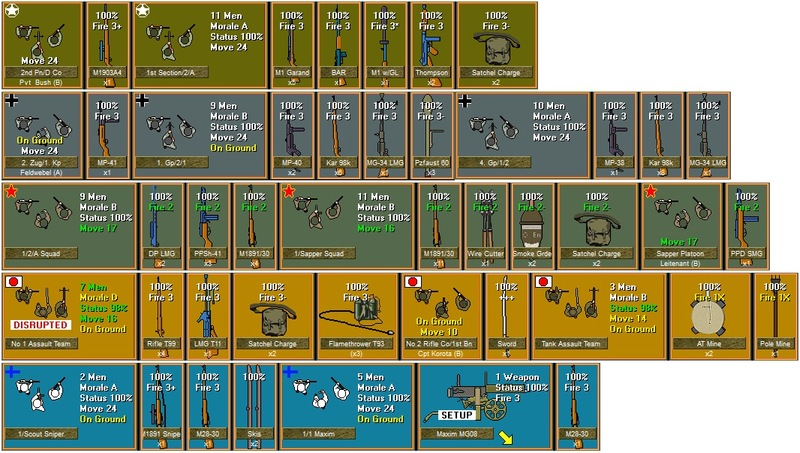 It has always bothered me when the image extends out side the box, so I fixed all the "weapons" and added a few new images like the Japanese pole mine.